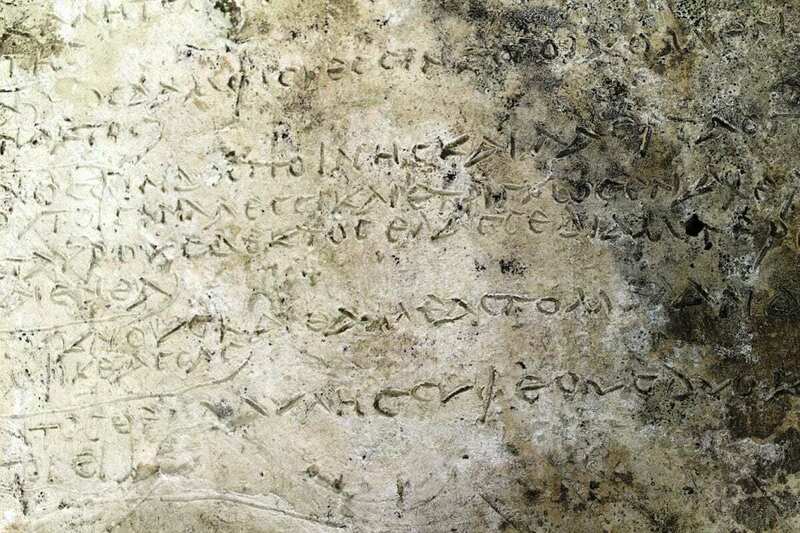 Archaeologists excavating near the ancient Greek Temple of Zeus in Olympia, Greece have found a Roman clay tablet that may be the oldest written record of Homer’s Odyssey to date. The Odyssey is one of two major ancient Greek poems attributed to Homer. It is, in part, a sequel to the Iliad and is considered fundamental to the modern Western canon. The extract on the tablet is engraved with 13 verses from Homer’s poem and recounts the deeds of Odysseus, the King of Ithaca on his epic voyage after the fall of Troy. They recite the talks between Odysseus and Eumaeus in Homer’s 14th book of the story. The discovery was during a three year research project called “The Multidimensional Site of Olympia” under the direction of Dr. Erophilis-Iris Koleda, Head of the Hellenic Institute of Political Science, in collaboration with Professors Franziska Lang, Birgitta Eder, Andreas Vött and Hans-Joachim Gehrke of the German Archaeological Institute and the Universities of Darmstadt, Tübingen and Frankfurt am Mainz.